Should You Execute a “Declaration of Consent” Requested By Your Swiss Bank? On Friday, June 20, 2014, we posted Is Their Benefit To Responding To Your Swiss Bank's Request For Confirmation Of Tax Compliance? where we discussed that taxpayers not to be fooled into thinking that answering these letters or providing this information will somehow prevent your account from being turned over to the U.S. Treasury Department, as an account associated with a US beneficiary, whether you respond to this banks request or not! However having reflected on this Request for Consent; there is one instance where a US individual is otherwise compliant, it might not be a bad idea to comply with the Swiss banks request, so they can classify this particular account as US tax compliant. Michael J. DeBlis III, Esq. recently posted the following regarding Requests for Consent received from your swiss bank. “We have identified you as the beneficial owner of an account that is subject to FATCA. Participating foreign financial institutions such as ours are required to identify and report information on U.S. Persons to U.S. government agencies. In this regard, we have the legal obligation to obtain your consent to provide this information. We would appreciate receiving the attached waiver signed by you no later than __________, 2014. Report all required information regarding your account(s) to U.S. government agencies, including the United States Internal Revenue Service, the United States Department of Justice, and the United States Department of Justice Program for Non-Prosecution Agreements or Non-Target Letters for Swiss Banks. (6) any other information pertaining to the account which may be requested or required. 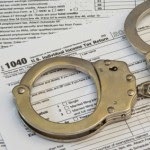 The information disclosed can be used for law enforcement purposes, including criminal proceedings and tax proceedings. The form that you received and have been asked to sign is called a “Declaration of Consent.” To understand its genesis and whether you have an obligation to sign it, it is necessary to take a slight digression in order to develop a basic understanding the FATCA Agreement between Switzerland and the United States. On February 14, 2013, the Swiss Government and the United States signed an agreement for the implementation of the Foreign Account Tax Compliance Act of March 18, 2010 (“FATCA”) in Switzerland (“FATCA Agreement”). The purpose of the FATCA Agreement is to simplify the implementation of FATCA for Swiss financial institutions and, at the same time, give them permission to comply with the requirements of FATCA without breaching the bank secrecy inherent in the Swiss legal system. Domestic banking secrecy laws prevent the disclosure of account information by Swiss financial institutions to the tax authorities. The FATCA Agreement provides a carve-out from Swiss law that would otherwise prohibit Swiss financial institutions from reporting directly to the IRS. In order to simplify the implementation of FATCA, the IRS has released two models of an intergovernmental agreement: Model 1 and Model 2. Model 1 provides for an automatic exchange of information between the tax authorities of the contracting states. Model 2 requires foreign financial institutions to report account information to the IRS based on a declaration of consent of the account holder. without disclosing the names of the account holders. In other words, to the extent that the IRS submits a group request to the Swiss Federal Tax Administration (“FTA”), it may obtain information about non-consenting U.S. accounts that have been reported by means of the aggregate reporting procedure. Switzerland has concluded a Model 2 intergovernmental agreement with the United States. That agreement dictates which Swiss financial institutions are excluded from the scope of FATCA, which Swiss financial institutions are deemed FATCA-compliant, and which Swiss financial institutions are obligated to register with the IRS and to enter into a FFI Agreement with the IRS. Under the FATCA Agreement, Swiss financial institutions had until January 1, 2014 to register with the IRS and to enter into a FFI Agreement, the terms of which govern most of the reporting and withholding obligations of the Swiss financial institutions. The FATCA Agreement contains an enabling clause that specifically authorizes Swiss financial institutions to enter into FFI Agreements without incurring a penalty under the Swiss Criminal Code. It is this section of the FATCA Agreement that authorizes the bank to seek your consent to disclose your account information to the IRS directly. Must you sign the declaration of consent form? The short answer is, “no.” In other words, even if your account passes the “duck test” for being a reportable U.S. account (i.e., If it looks like a duck, swims like a duck, and quacks like a duck, then it probably is a duck), you can still refuse to sign the declaration of consent. Absent your consent, the bank cannot report your account directly to the IRS. However, as is the case with virtually everything when it comes to intergovernmental agreements, the consequences of refusing to consent can be severe. For this reason, a person should only refuse consent if his account is not considered to be a reportable U.S. Account under the Swiss-U.S. FATCA Agreement. • Under the FATCA agreement, Dreyfus must close the accounts of all recalcitrant account holders. Aggregate reporting by Dreyfus. Pursuant to the FATCA agreement, Dreyfus is legally obligated to report the aggregate number of accounts and the total value of all “Non-Consenting U.S. Accounts” by the end of January 2015, without mentioning the identity of the respective clients. Pursuant to Article 5 of the FATCA Agreement, the IRS may issue a group request to the Swiss Federal Tax Administration (FTA). 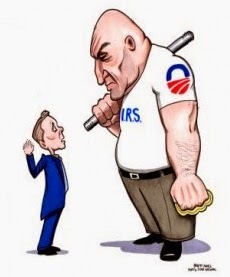 A group request is a request made by the IRS for specific information pertaining to a non-consenting U.S. account. The information typically sought includes accountholder information, specifically the identity of the beneficial owner(s) of the account. Such requests are based on Article 26 of the Convention for the Avoidance of Double Taxation (the “Convention”) between Switzerland and the United States, as amended through the Protocol of September 23, 2009. A group request does not automatically mean that the FTA will release your account information to the IRS. Instead, it begins what can best be described as a review process. How do you know if your account is considered to be exempt from reporting? Annex II of the FATCA identifies certain categories of entities and products that are exempt or deemed FATCA compliant, because they are considered to present a low risk of being used by U.S. persons to evade U.S. taxes. Therefore, no reporting obligations exist under FATCA for these accounts and products. The issue becomes whether your account can be “shoe-horned” into one of the aforementioned exceptions to the definition of “Financial Account.” Assuming that it can — i.e., perhaps it satisfies the definition of being a retirement account held by an exempt beneficial owner — then it would not qualify as a reportable “U.S. Account” for purposes of the Swiss-U.S. FATCA agreement. And if it does not qualify as a reportable U.S. Account, then the Swiss Bank has no right insisting that you execute a Declaration of Consent. On the other hand, if your account cannot fit into any of the narrowly-carved exceptions to the definition of “Financial Account,” then it would be considered a reportable U.S. Account. And if it is considered a reportable U.S. Account, then the Swiss Bank has a legal duty to obtain your consent. Some of the pitfalls to avoid are the following. First, don’t try to fit a square peg into a round hole. If your account is clearly a wealth management account, then no matter how hard you try to classify it otherwise, it is still going to be a U.S. Account, subject to reporting. (ii) a Swiss branch of a financial institution incorporated outside Switzerland. Because there is no greater trap for the unwary, let’s consider an example. Beth is the beneficial owner of an IRA that was purchased from a company called “AdvantaIRA Trust,” based in Florida. The IRA is funded by currency cash notes, which are stored inside a vault at a Swiss bank. Thus, the funds are held offshore, but the IRA itself is located in the United States. While Beth’s IRA clearly satisfies the definition of being a retirement account held by an exempt beneficial owner, it would still be considered a reportable U.S. Account under the Swiss-U.S. FATCA Agreement. Why? Because it was established in the United States, and not in Switzerland. The fact that the source of funding for the IRA is cash notes stored in an offshore bank vault is meaningless. Therefore, the bank has a legal duty to obtain Beth’s consent. The FTA exchanges the information requested by the IRS as part of a group request within eight months from the date of receipt of the group request. If the FTA does not exchange the account information, the account will be treated as held by a recalcitrant account holder and withholding will be required. In that case, the “Reporting Swiss Financial Institution” must withhold tax on the income generated by the account and forward it to the IRS. “Reporting Swiss Financial Institutions” have at least until completion of the group request procedure before withholding is required. The Swiss-U.S. FATCA Agreement is complicated. Be sure to seek legal advice before responding to a declaration of consent. for a Declaration a Consent? Accountants & Lawyers Need To Beware of Privacy Breaches! Edward Snowden, the former National Security Agency contractor who blew the whistle on the secret surveillance activities being carried out by the federal government, is warning accountants and other professionals to be concerned about the privacy of their communications. 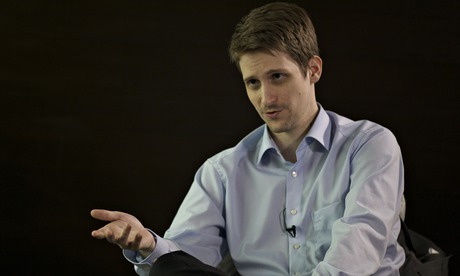 In an interview with The Guardian, Snowden described how phone and email communications are vulnerable to tracking and what professionals need to do to protect themselves. The former National Security Agency and CIA computer specialist, wanted by the US under the Espionage Act after leaking tens of thousands of top secret documents, has given only a handful of interviews since seeking temporary asylum in Russia a year ago. "Legal professional privilege – the right to consult a legal adviser in confidence – is a long established common law right. Its fundamental role in our legal system needs to be reasserted." The society is pressing to have existing legislation rewritten to include explicit protection for legal professional privilege from government surveillance. To The Age Old Question "How Will The IRS Know"
Your Prior Year's Incorrect Tax Filings? or Toll Free at 888-8TaxAid ( 888 882-9243). Julius Baer Banker Charged with Leaking Cayman Islands Client Information. The Swiss authorities have charged former Julius Baer banker Rudolf Elmer with contravening banking secrecy laws. Elmer is alleged to have leaked details of Cayman Islands client accounts via WikiLeaks between 2007 and 2011, long after he left the bank's Cayman division. He is also charged with offering bank account data to Germany's finance ministry. 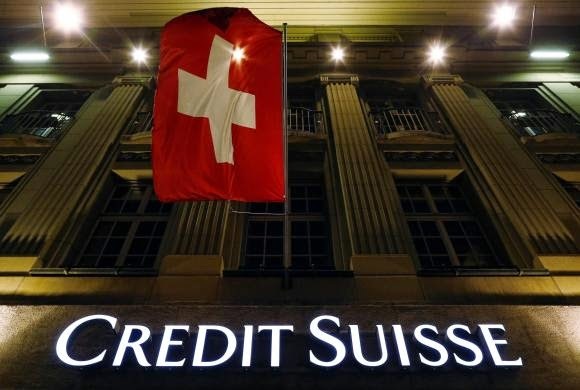 Countries including the U.S. and Germany have used testimony from former Swiss bankers or stolen client data to pursue crackdowns on tax evasion. 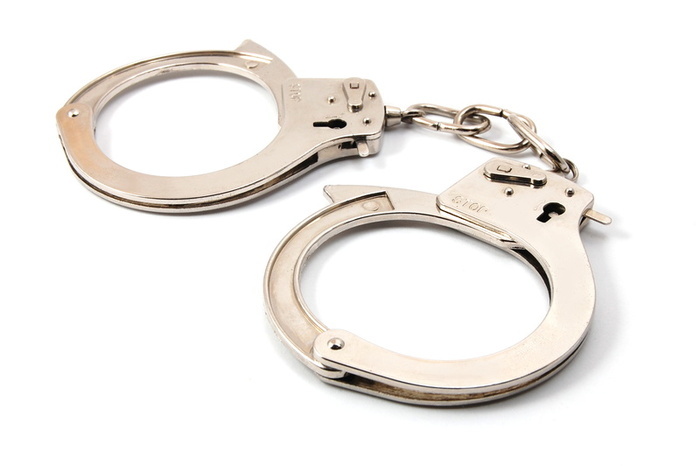 Swiss laws threaten bank employees with a jail term if they divulge client information. Elmer was detained in January 2011 and held for about five months on a judge’s order after prosecutors argued that he might tamper with material important to their investigation, Giger said. He said Elmer remains free as the case continues. He handed over two CDs he said contained information of tax dodging by more than 2,000 “high-net worth individuals” and corporations to WikiLeaks’ Julian Assange in 2011. He said in 2011 that "I think, as a banker, I have the right to stand up if (I think) something is wrong." Elmer worked for Julius Baer from 1987 till 2002, where he had risen to the position chief operating officer for the bank’s Cayman Islands division. There he claimed to have found evidence of tax evasion, and his employer’s complicity in the illegal activities. The bank denies the charges, and accuses Elmer of fabricating documents and threatening two staff members. The former banker lived in self-imposed exile in Mauritius after being sacked at Julius Baer and became a loud whistleblower against Switzerland’s banking industry. He was arrested in 2010 and faces trial in Switzerland for contravening banking laws. If convicted, he could face up to eight months in prison. 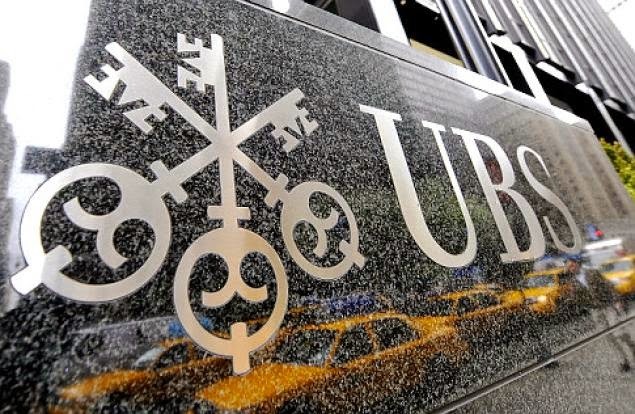 US taxpayers who have undeclared accounts in Julius Baer or other Swiss banks, may now want to consider applying for the US Offshore Voluntary Disclosure Program (OVDP), which sets a limit to the penalties imposed on them by the Internal Revenue Service (IRS) for failing to declare foreign assets and earnings. Mr. Rudolf Elmer disclosed your account to the IRS. the OVDP election is no longer available to that account holder!!! Increase To 50% on Monday! Just 3 Days Before OVDP Penalty Increase To 50%! 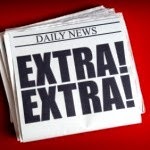 On Thursday, June 19, 2014, we posted "OVDP Penalty Increased To 50%! 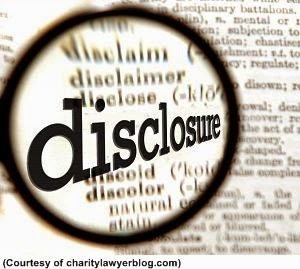 "where we discussed that the new revisions to the US offshore voluntary disclosure initiative, which we posted on 6/18/14 "IRS Makes Changes to Offshore Programs; Revisions Ease Burden and Help More Taxpayers Come into Compliance", now provides for and increased 50% FBAR Penalties for 'Willful' Non-Disclosers.